Perfect for freelancers, creatives, personal brands and small businesses. I don’t offer a one size fits all formula. I am interested in and committed to supporting you through your next chapter… you could be transiting from a 9-5 job, just starting out or going to the next level). My work combines practical, strategic steps that are aligned with you; your personality, commitments, preferred lifestyle. I know you have a unique, brilliant blend of skills, services, goals… but just need some support to fine tune them and make them your reality. Maybe you want to earn more money, work smarter not harder or become an expert in your field. And this has been the case for the 1000 plus clients I have worked with. So many of us actually want to enjoy what we do. We want that sense of flexibility and freedom and to be excited to start the day. We want to be able to make our work work for us… to be able to choose our schedule, work around kids, have Fridays off if we want, or work in the evening if naturally a night owl. Not just working the 9-5 and doing the weekly grind of dreading Monday and living for the weekend. Firstly what the heck does it mean? And secondly how do you even begin? Do you have to have 'glow in the dark' teeth, a designer wardrobe and work from a yacht? TO KNOW THAT YOU DON’T. You can do your own thing on your terms. Maybe you have been feeling stuck, overwhelmed, confused, frustrated and overworked? You know you are supposed to do brilliant things in the world but you don't seem to be making the progress you want. At the time of writing I am 36. I am mum of one, partner of 1 (!) and have a diverse portfolio career; actor, coach, writer and podcaster. I have about 15 different income streams and if I may say (sorry if it sounds a but smug…but also please know there have been many ugly cries along the way) I have never been so fulfilled in my career. Sometimes ambition can be a bit of a dirty word. Especially for mothers. We should be at home baking cakes (?! )…I love a cake as much as the next person but also I know I love what I do and earning money is very important to me. Carving out my own career allows me options to be at home a lot but also continue to pursue my passions and monetise them. BUT WHAT DO YOU ACTUALLY DO, NICKY? Ok, so my areas of expertise are helping you to identify what you want and then build a plan to make it happen. I know you don’t have oodles of time to ‘find yourself’ or able to make a fortnight in Bali work logistically. You need to optimise your time, money and energy so you actually get stuff moving and shaking. Also there may some fear in there that may be holding you back or slowing you down…(which is completely normal by the way). (Because I don’t work on a one size fits all basis, I offer a number of packages and options. Some clients choose a long term option and sample the whole banquet and other people just have a starter). Oh and I am a big foodie btw! I help you figure out where you are now and where you want to be. Success is not all Gucci handbags, Mock Tudor houses (can you tell I was a teenager in the 90s?!) and fast cars. I am interested in what you want to build. What do you want your business/brand to provide? What kind of lifestyle do you want to have? If you are feeling foggy headed and overwhelmed, this is a great place to start. How can you get your business/brand 'out there' in a way that feels good and to the ‘right’ people. Often we have the ‘selling’ connotations i.e we don’t want to feel like a big old sleazy pants or a terrible informercial. I will help you to find ways to be visible in a non terrifying way. There are ways to share your credibility and skill set without shouting loudly. What feels easy to you? What you want to do more of? We could have conversations around your website, your story, your content and the kind of business owner/brand you want to be. Describing who you are and what you do can be tricky to answer. Plus generally a bit awkward. Also if you are not clear on what you are selling or how you can help you may end up have a wooly marketing message and not attracting your ideal clients/customers. How do you want to package up your services? Perhaps you have been working 1:1 but want to scale and consider creating passive income products. Maybe you want to create more of an online business rather than one where you have to be in the room. Or you want to create opportunities for yourself that aren’t perhaps traditional. There isn't a rule book to follow here so you need to create your own to suit your personality and circumstances. Sometimes there can such pressure to recreate what everyone else is doing... however if it doesn't feel good to you, you don't have to do it! Going to the next level feels scary. Pressing ‘publish’ on the new project is heart stopping. Perhaps you are having a wobble, or doubting yourself, or struggling with confidence or Imposter Syndrome. I will help you create practical tools to use to keep moving forward. I don’t have perfect hair all the time (I had had a blow dry in these pictures) and don’t profess to have a perfect life. Kindness is key. I am interested in your results and want to see you thrive. I am not the type of coach who is ‘cruel to be kind’ or will ‘knock you down to build you up’.. I have experienced that at drama school and it is not for me in any shape or form…especially when wearing a leotard! I haven’t always had this figured out (and somedays I still don’t). I have had tricky times in my life and although tough at the time, this gives me huge empathy and a big, big heart. I am big geek and big rebel in equal measure. I love learning and developing but only keep the stuff that works and ditch the rest. I like to do my own thing. I encourage you to do the same. I will not give you a standard ‘In your industry…’ or ‘Someone like you should…’ Instead you tell me your preferred outcomes and we go from there with an action plan. WHY? DO I REALLY NEED A LIFE COACH? WHAT CHANGES CAN I EXPECT? You stop being a wishy washy person who only talks about your dreams. Instead you make them happen. You stop just hoping that someday you maaay get a chance to do what you want and you take the first steps. You build a plan.. a practical solution to take you from where you are to where you want to get to... you know, actionable baby steps. It works for most people. Despite being all Northern and a bit skeptical, this stuff worked for me. I was back on track. I was suddenly back in control and on my way to carving this wonderful portfolio career I have now. Change can be difficult. It can be easier to stay the same. We need strategies to make everything easy. You gain clarity... identifying what you want. You stop going round in circles and not knowing where to start? When we work together, I will help you get specific so everything is aligned and you work smartly not necessarily hard. Coaching requires focus and commitment- therefore you are likely to get quicker results as you work alongside a coach. You generate options- perhaps solutions/possibilities/opportunities that you haven't yet considered. You can challenge your limiting beliefs. Often my clients build confidence and let go off negative mind chatter that doesn't serve them. Unlock what is holding you back so you can move forward promptly. 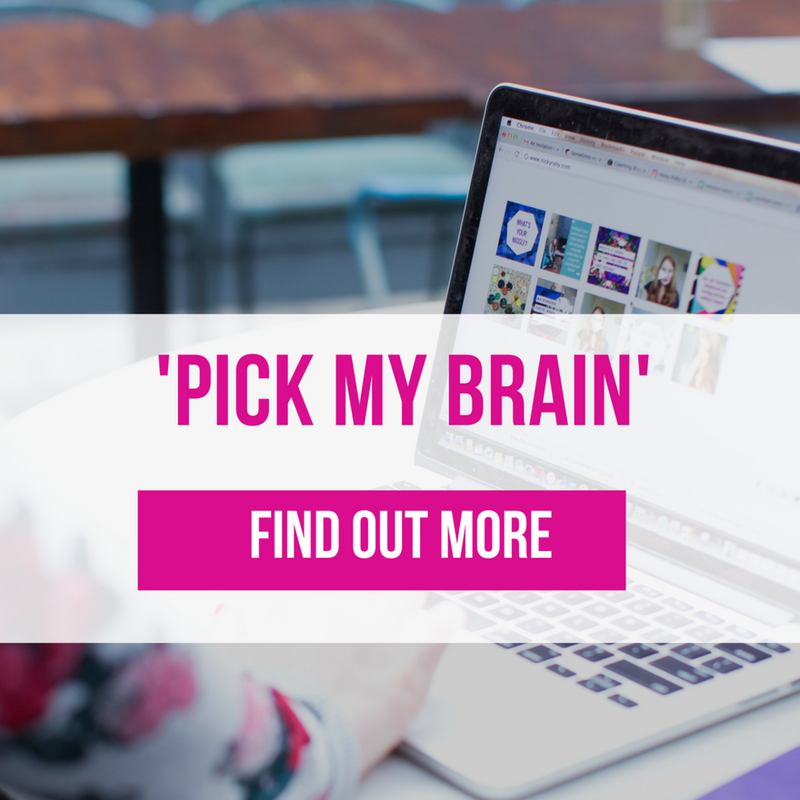 No more of that 'foggy head' feeling, you will have an exact process to follow as I help you break down things that are currently feeling 'huge' 'overwhelming' or 'confusing'. You become accountable. We all can slip into 'Oh, I'll do it tomorrow/next week/when I feel ready' and then procrastination takes over so ideas are shelved. As your coach, I am invested in your results and provide measures and motivation to keep you on track. By investing in yourself, you raise the stakes and are likely to gain quicker and greater results. By moving away from 'maybe one day, I will do x, y and z' to creating an action plan with a coach you accelerate the progress. I work with clients from all over the world (the magic of technology), however I am based in London, UK so when I work face to face I work from private members' club Century, which is in Soho, central London. Skype/Facetime options are available.